The National Wildlife Federation and the Natural Learning Initiative are developing national guidelines for play and learning areas, due out in 2014. As outlined in the NWF’s policy action plan, Connecting Kids with Nature, children are faced with many options for staying indoors and few options for getting outside, connecting with nature, and acquiring the life skills only available through interacting with nature. 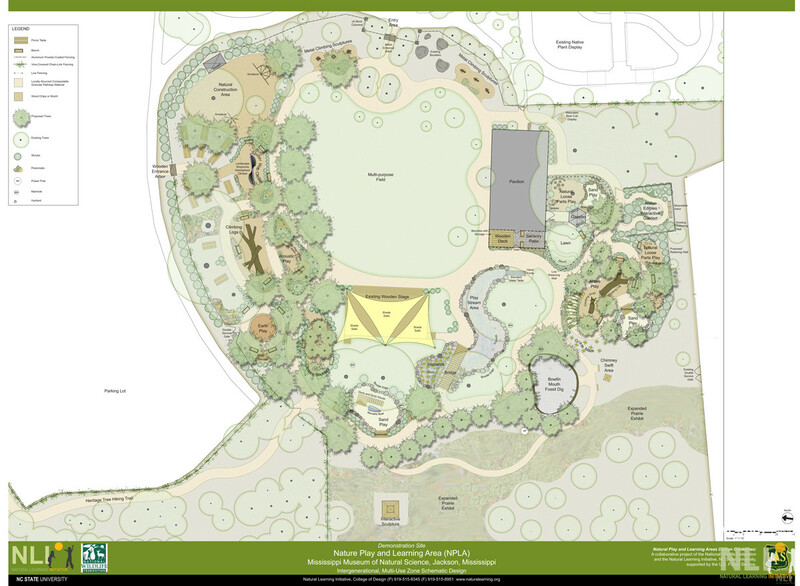 The project is supported by The U.S. Forest Service, with matching efforts from sites developing nature play areas. The resulting publication will offer policy and practice guidelines for natural play areas in childhood and family institutions: childcare centers, municipal parks, public schools, and federal lands. Research based design concepts that bring children and families together with their natural environments, in a variety of settings. The project will promote guideline adoption by stakeholder professional associations, governments, and regulatory bodies. The Nature Play and Learning Area Registry is currently soliciting and compiling a registry of Nature Play and Learning Areas to support and potentially illustrate the best practice criteria specified in the Guidelines. With the NWF/NLI partnership taking the lead and administering the project, fourteen leading national organizations were called to serve on the project steering committee, by aiding in the development and promotion of the guidelines and providing review going forward. Organizations include the American Society of Landscape Architects, the Centers for Disease Control, the Chicago Park District, the Children & Nature Network, the City Park Alliance, Head Start Body Start National Center for Physical Development and Outdoor Play, the Houston Parks and Recreation Department, Keep America Beautiful, the National Arbor Day Foundation/Dimensions Educational Research Foundation, the National Association of State Park Directors, the National Recreation and Parks Association, the North American Association for Environmental Education, the U.S. Fish and Wildlife Service, and the U.S. Forest Service.